Be amazed at the spectacle of Busan’s famous dancing fountain, which follows a perfectly choreographed routine combining water with music and light. The Dadaepo Sunset Fountain of Dream is one of the world’s largest fountains. It takes pride of place on Busan’s beautiful Dadaepo Beach. Experience its watery performances, which are choreographed to music and lights, every evening except Mondays during the warmer months. The musical fountain rises 180 feet (55 meters) into the air. Join the crowds as they gather to watch the shows, which last for 20 minutes, and experience the fusion of sound, light and water. Watch the show play out against an ocean backdrop and soak up the atmosphere of the crowds on the beach. Seeing the fountain in action is a unique Busan experience that is not to be missed. Look for the various cultural events that are often held alongside the fountain shows. Traditional dance and music performances, as well as regular festivals, are held on Dadaepo Beach and complement the swirling lights. Be mesmerized by the iridescent blues, red, pinks and greens which illuminate the swaying water shoots. After the shows, the fountain performs a smaller routine. Take your children for a magical experience and let them dance in the colored fountains. It is the perfect way to cool down on a hot summer’s evening. The Dadaepo Sunset Fountain of Dream runs between March and November on Dadaepo Beach. There are daytime shows as well as the more spectacular evening show, which can be seen between May and October. Check with your accommodations for the exact times of the shows. Swim in the calm water of a sheltered bay, dine at waterfront seafood bars and see uninterrupted views of Gwangan Bridge. Take a poignant stroll through this memorial grounds, which pays homage to those that lost their lives while serving the United Nations during the Korean War. Examine a series of monuments and take photos of the panoramic views from a lookout tower at this hilltop park in downtown Busan. Hear the chanting coming from the temple’s monks as you explore these magnificent historic pavilions and buildings, which sit in the shadow of Mt. Geumjeongsan. Feel inspired and challenged in one of Busan’s top modern art museums, where fascinating exhibitions, challenging pieces and a wide array of genres await. Head to Busan’s most popular beach for a day of swimming, building sand castles and watching the impressive musical fountain show. Make your way to the very top of Busan’s famous mountain, where there is a vast fortress, an ancient temple, abundant wildlife and panoramic views. Hike along the dramatic cliffs and through the misty pine forests of this peninsula park, where legends say the gods once came to relax. Hike out to the site of the 2005 APEC Leaders’ Meeting for some recent history and unmatched Busan views. Pull on ice skates, practice your golf swing or slip into a spa at the world’s largest department store. You’ll find great shopping and dining too, of course. Let your cares float away while you bob on a tube just off Korea’s most famous beach, where locals and tourists come to see and be seen. Sample the fruits of the sea at this sprawling fish market, the largest in South Korea. One of Busan’s most energetic areas centers on this neighborhood that started a major international film festival. Shop, dine and view celebrity handprints. Discover the history of Busan at this museum packed with fascinating relics from across the region, displayed across numerous floors and halls. Fine golden sand, lively restaurants, a sky walk and lively music festivals make this a popular beach in southern Busan. Shop for clothing, homeware and souvenirs and sample typical Korean street food at this sprawling and lively market that is popular with locals. Wander along beautifully landscaped paths and paved walkways, discover statues and pagodas and, in spring, observe the camellia trees in bloom in this pretty city park. With its exhibits ranging from aquatic creatures to maritime industries and seafaring vessels, this museum showcases the power and importance of the ocean. Experience the spectacular views from this cliff-top road and village, where the sunsets and moon rises are legendary across South Korea. Learn about the region’s military history at this tranquil shrine dedicated to the fighters who died in the 16th-century Japanese invasion. Enjoy swimming, surfing and live music events during the warm summer months at this quiet beach situated on Busan’s east coast. A colorful and artistic Buddhist temple complex, this religious site stands atop a rocky cliff where you can see spectacular sea views. Walk across Korea’s first-ever drawbridge, which links mainland Busan with the island district of Yeongdo, and watch as it opens to let boats pass through. Spend time in this huge green space, which was created on an old U.S. army base and today boasts a plethora of attractions alongside abundant nature. Browse for fashion trends and electronics and sample local street food amid the bright lights of this bustling commercial thoroughfare. 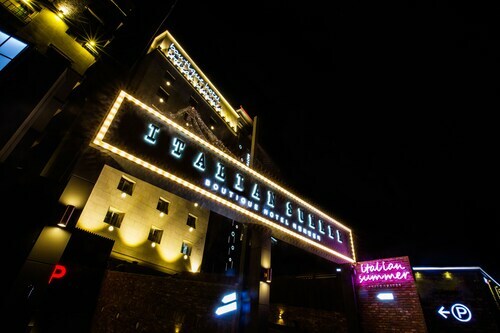 Situated by the ocean, this hotel is in the same area as Dadaepo Sunset Fountain of Dream, Dadaepo Beach and Jagalchi Fish Market. Area attractions also include Eulsukdo Park and BIFF Square. 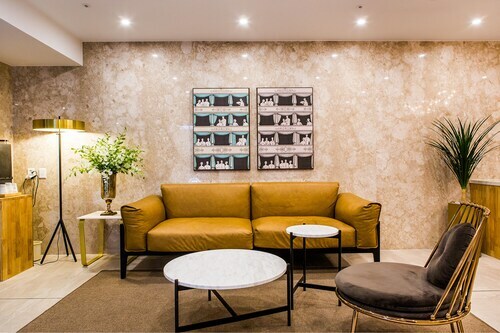 Situated in Busan, this hotel is 1.4 mi (2.3 km) from Songdo Beach and within 6 miles (10 km) of Gukje Market and Lotte Mall Gwangbok. Lotte Department Store and 168 Stairs are also within 9 miles (15 km). 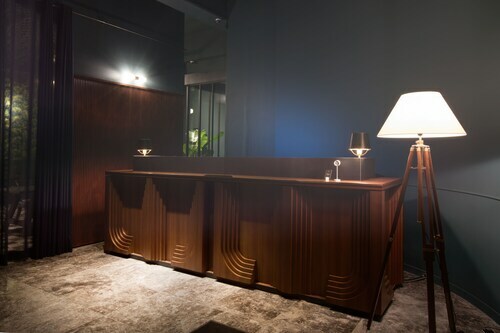 Situated in Busan, this hotel is 0.1 mi (0.1 km) from Songdo Beach and within 3 miles (5 km) of Gukje Market and Jagalchi Fish Market. Nampodong Street and Yongdusan Park are also within 3 miles (5 km). 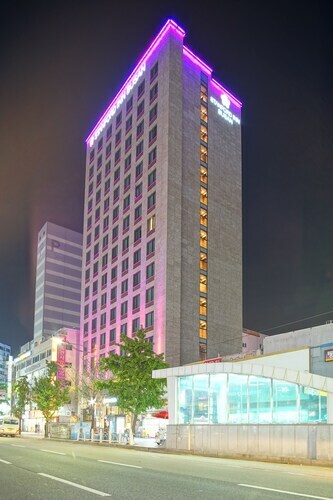 Situated in Busan, this hotel is 11 mi (17.7 km) from Busan Museum of Art and 11.1 mi (17.9 km) from Busan Exhibition and Convention Center. Cheongsapo Daritdol Observatory is 14.3 mi (23 km) away. 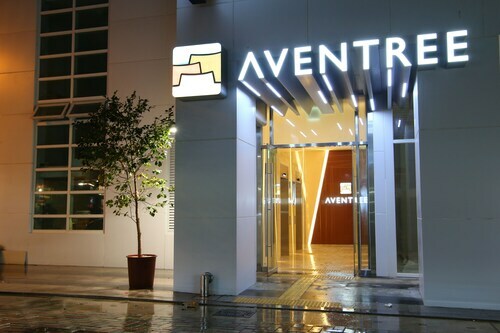 Situated in Busan, this hotel is 0.1 mi (0.1 km) from Songdo Beach and 2.5 mi (4.1 km) from Lotte Mall Gwangbok. 168 Stairs and Dadaepo Beach are also within 6 miles (10 km). 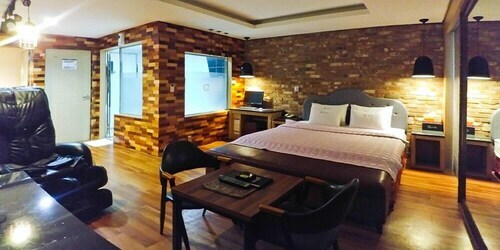 Located in Jung District, this hotel is steps away from Gwangbok-Dong and Gukje Market. Lotte Mall Gwangbok and 168 Stairs are also within 2 miles (3 km). 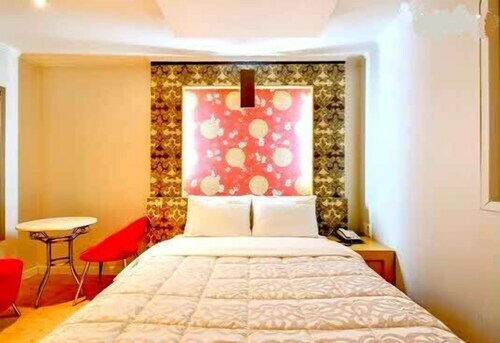 Located in Jung District, this hotel is steps away from BIFF Square, Nampodong Street and Jagalchi Fish Market. Gukje Market is 0.2 mi (0.3 km) away. 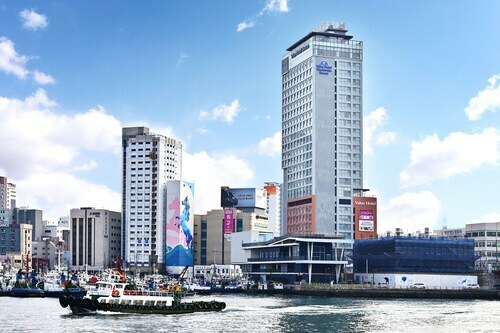 This hotel is located in Busan (Yeongdo), close to Lotte Mall Gwangbok, Jagalchi Fish Market and Busan Tower. Local attractions also include BIFF Square and National Maritime Museum. Nampo Station is 6 minutes by foot and Jungang Station is 12 minutes.